The titular villain from the latest installment in the Wizarding World's Fantastic Beasts series. 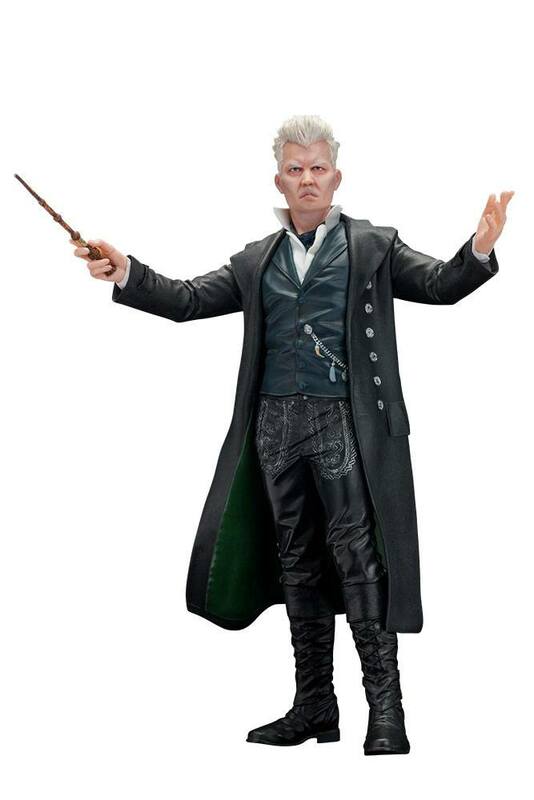 Johnny Depp's iconic rendition of Gellert Grindelwald is joining the ARTFX+ line! The powerful dark wizard is portrayed as he appears in Fantastic Beasts: the Crimes of Grindelwald. as gathers allies to fulfill his quest to create a world where muggles are controlled by wizards. This exquisitely detailed 1/10 scale ARTFX+ statue comes with a steel base that is compatible with the magnets in the statue's feet that give the statue extra stability when displayed in a variety of angles.